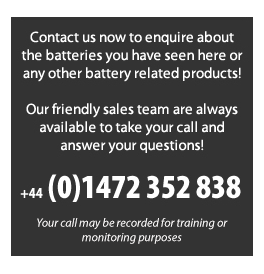 At the Battery Warehouse our range of Motorcycle batteries offer our customers with the best quality brands at competitive prices. VARTA batteries are impressive in any market segment that requires the right battery – whether it’s for motorcycles, motor scooters, quad bikes, jet skis, snowmobiles or tractor lawnmowers. With the new Funstart product range, VARTA covers every application. Be it Funstart AGM, Funstart Gel or Funstart FreshPack, VARTA provides the appropriate technology each time. VARTA – the first choice for pure driving enjoyment and safety. Powersport vehicles need a powerful battery, one built to take the constant pounding that comes with the territory, whether it's is on land, sea, or snow. The ODYSSEY® battery can handle it. 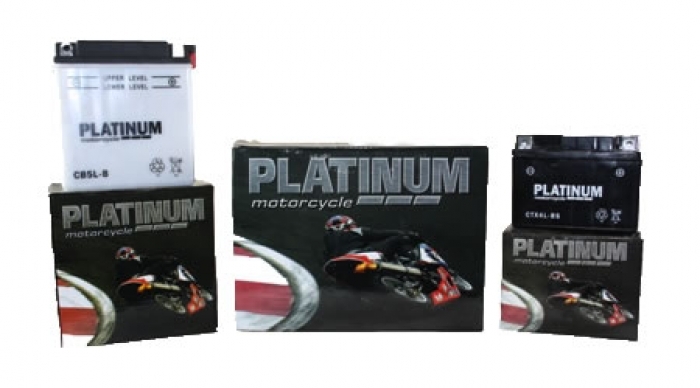 Platinum Motorcycle batteries represent an unbeatable collection of products for all motorcycles, ATVs and Jet skis. You can count on Platinum to provide you and your customers with the perfect battery. Exide Bike batteries are designed for a full range of power sport applications, including motorcycles, scooters, quads (four-wheelers or all-terrain vehicles), personal watercraft and snowmobiles, small tractors and utility/garden vehicles and riding lawnmowers. The Exide Bike line consists of three tiers delivering increasing levels of performance and technological innovation. They are designed to meet the needs of a variety of users - from the value-conscious to the discriminating premium buyer. The line is designed to deliver reliable starting power, more flexible installation options, and longer life than traditional designs. For more information or for a quote please call our customer service team as we can supply nationwide on a next day delivery service.